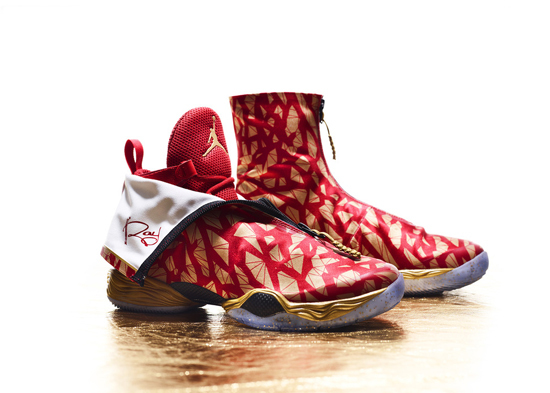 Four championship inspired PE colorways of the Jordan XX8 for Sugar Ray. 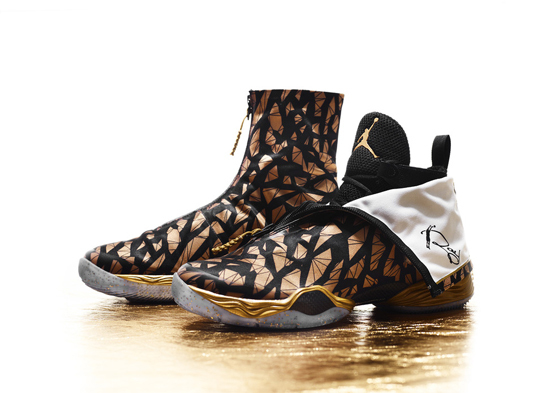 As the 2013 NBA Finals start today, Thursday June 6th, 2013, Jordan Brand gives us a detailed look at what Ray Allen will be wearing as the Miami Heat look to win their second consecutive NBA championship as the take on the San Antonio Spurs. 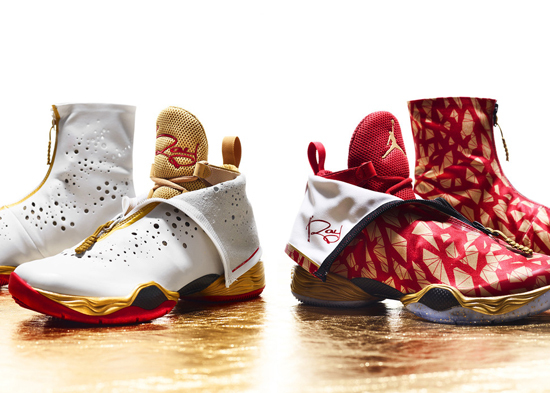 Four player exclusive colorways of the Air Jordan XX8 known as the "Gold Standard" are championship inspired as Allen seeks his second NBA title. Two pairs are "Home" editions while the other two are "Away" editions. First, lets take a look at the "Home" colorways. These versions feature Allen's logo on the tongue and feature a white patent leather shroud with perforations throughout. 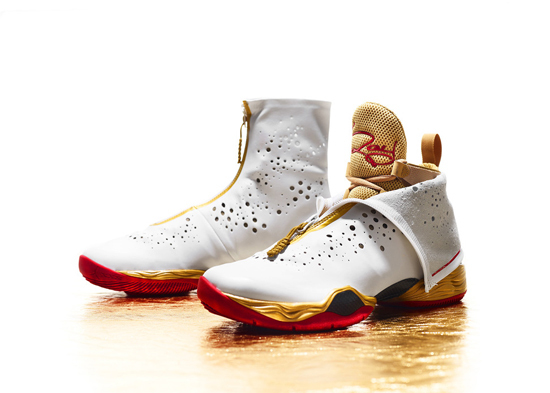 One pair comes in a white, black and university gold while the other comes in a white, gym red and university gold. 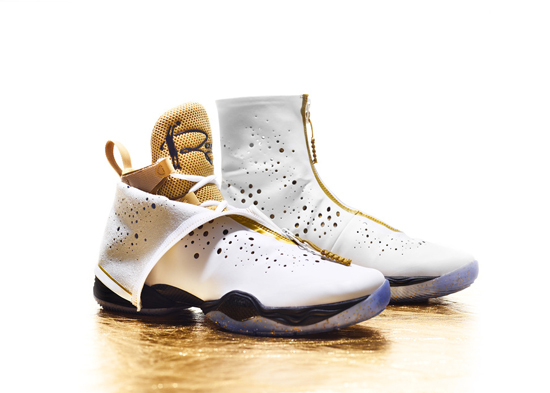 Expect to see Ray lace these pairs up while playing at home during the Finals. Next, we have the "Away" colorways. These versions feature Allen's logo on the inside of the shroud with a fractal Elephant Print design on the shroud. 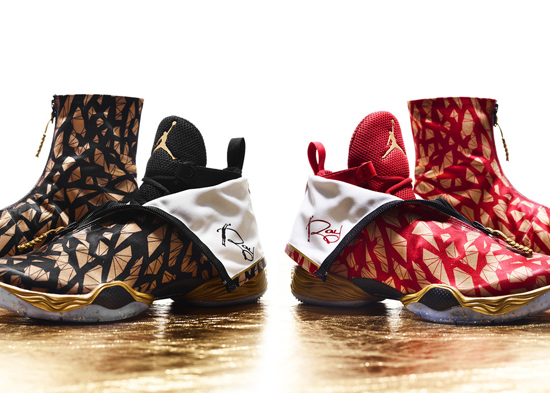 One pair comes in a black and university gold while the other comes in a gym red and metallic gold. 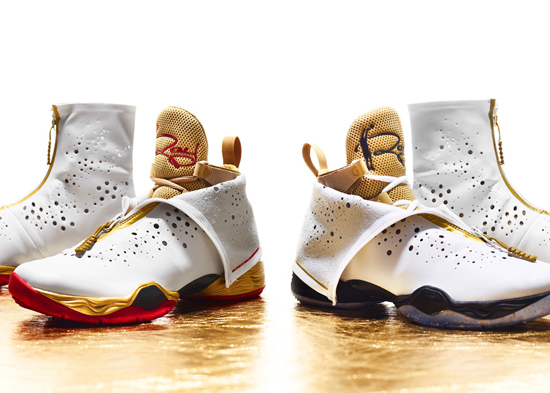 Expect to see Ray lace these pairs up while playing on the road during the Finals. 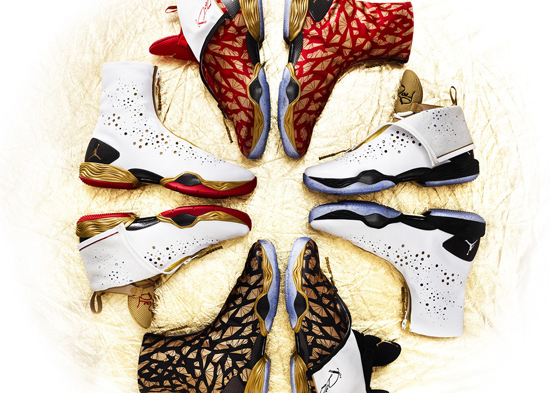 As all four pairs are player exclusives, none of them are expect to be released in stores or available to the public. 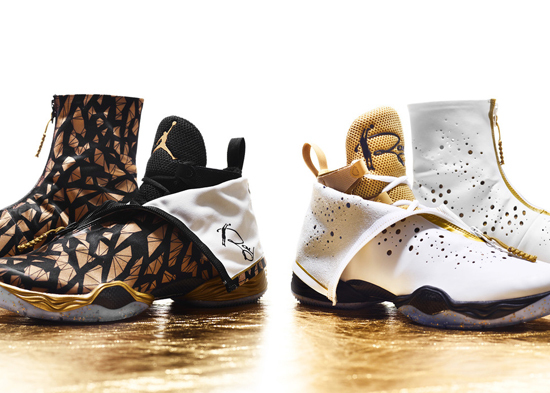 Enjoy the detailed images below of the "Gold Standard" Air Jordan XX8 Ray Allen player exclusive's in four colorways below. To check them out in action be sure to catch the 2013 NBA Finals as the Miami Heat take on the San Antonio Spurs starting on Thursday, June 6th.